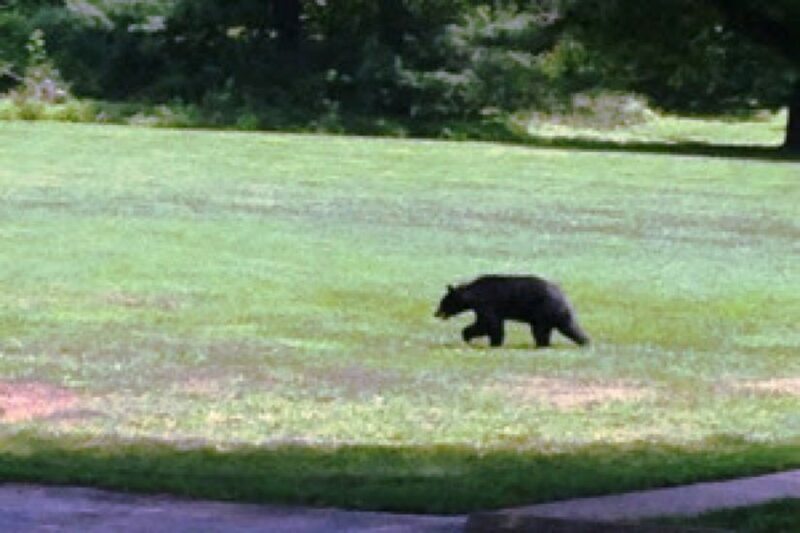 A black bear and a bear cub were spotted by residents in the 1500 block of Windstone Drive over the weekend, Fairfax County Police said. Spring is the time when black bears and cubs emerge from their winter dens, so it is not unusual to see bears from mid-March to early May in Virginia. The residents told police they saw the bears Sunday about 7 p.m. This location is near Difficult Run Stream Valley Park and Wolftrap Stream Valley Park. Police said the bears posed no problems or issues, but did stay on the property for about an hour. Bears typically avoid humans, but may wander into residential areas in their search for food. Most often, bears will keep moving through an area once they fail in their attempts to find food. Mother bears are protective over their cubs. If encountered, bears and their cubs should not be approached. When sensing danger, a female bear will typically send her cubs up a tree and leave the area. In such cases, the female will almost always return to gather up the cubs when no people or pets are around, usually after dark. If a bear huffs or woofs, clacks its teeth, growls or slaps the ground, it is warning you that you are too close. If you see a very small cub, do not try to remove it from the area or “save it.” The best way to encourage the bear not to return is to remove food sources. Unless the animal is sick or injured, or poses a threat to public safety, Animal Control Officers do not take actions to attempt to remove bears from a neighborhood. Black bears have a natural fear of humans, and in most cases, would rather flee than encounter people. You may contact the Fairfax County Animal Services Division, Animal Control Section at (703) 691-2131 , for further information. Bear sightings should be reported to the Virginia Department of Game and Inland Fisheries through the Virginia Wildlife Conflict Helpline at (855) 571-9003 .